specific safety concepts (functional/technical security concept) with due regard to different observing safety standards such as the ISO 26262 or IEC 61508. 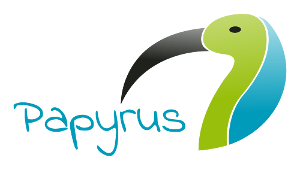 For the implementation of the SOX System Designer module, the powerful Open Source Model-Based engineering tool Papyrus has been fully integrated into SOX. You can thus resort to all the features Papyrus offers. More information about all the extensive features and functions can be found here. 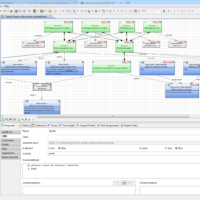 With SOX you can use and create all SysML 1.4 diagrams and basic UML diagrams. 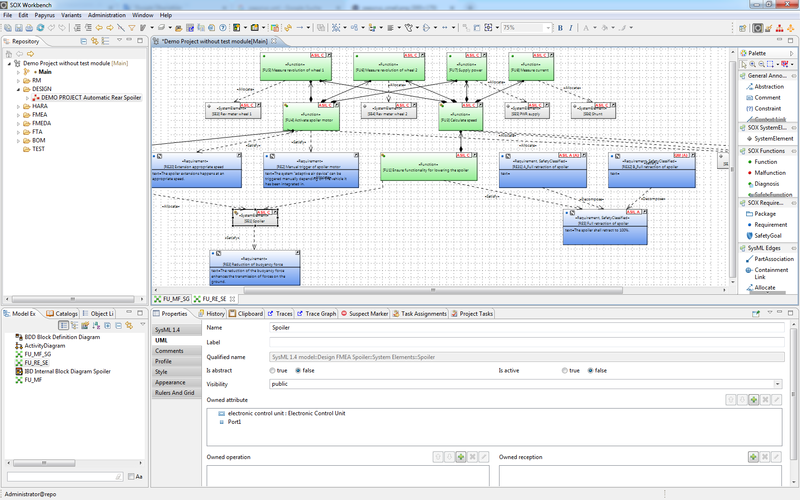 In addition, SOX offers two additional diagram types, the SOX function diagram and the SOX requirement diagram, which can be used to create SOX-specific stereotypes in a convenient way. SOX stereotypes are “modified” UML objects such as e.g. Requirements, functions, malfunctions, system elements, which of course can also be used in other SOX. Your previous system designs, based on UML / SysML 1.4 (eg Enterprise Architect XMI), can be easily imported with the SOX SD Importer. In doing so, you transfer the SOX stereotypes to the corresponding UML objects and can thus use their previous architectures in SOX without exception.